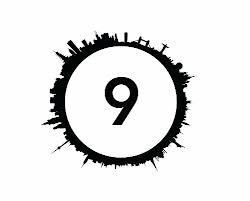 Out of the Question is a wonderful app from Nation9. It is written and illustrated by Marc Smith. This is the story of a girl, named Angelika and her twin sister- Angelina. Angelika was born quite different from her sister or from anyone else for that matter. She has the ability to fly or float to be exact like a balloon, as she has no control over it and can’t switch it on or off or control it in any way. Due to her unique feature and to her character, she and her twin sister go through many exiting and testing adventures together, when they are lost at see. They go through it like a family and help each other. It has adventure, unexpected turn of events, a good moral and a love story. What more could you ask for. I love this book, for it is very different from most children’s books and very diverse. Many kids may recognize themselves in Angelika, because they feel different from their classmates or friends. And very few are happy about their differences, whether they are physically or mentally challenged or different color, faith, shape or size. This book goes to show your children that they are unique and should be very proud, because there is no one else like them in the world. And it is a wonderful thing to be different. Your family and friends love you just the way you are. The book also has a wonderful meaning that whatever limits others set upon us or we set upon ourselves can be cross if we believe and that nothing is impossible and out of reach. We as parents very often tend to point our children in a certain direction or set limits on things they can’t do, sometimes because we are afraid, we want to protect them or because we love them and want the best for them. And most kids and adults set limits upon themselves, because of society or rules. We need to have more faith in our kids, families and ourselves, because “a person is only as big as the dream they dare to live”. So dream big and don’t let anyone tell you what you can or can’t do, including yourself sometimes. The illustrations are simply beautiful and the story is written in a verse, which I love, because it is quite like Angelika- different. It has sound and music options, which you can hear in the background of the story. You can choose the level of the volumes controls for the narrator voice, the sounds and the music, switch them off or on separately. You can choose between two modes: Read it to me and Read it myself. This too is very helpful and it can serve to bigger kids who can use the second mode or you can choose Read it to me, and let your little ones listen and watch. It is suggested for children between 5 and 8, but my 1 year old and 3 year old loved it. It has about 55 pages, which is a lot for a small kid, but you can read it in parts like I did. This book is the first of a series and I am looking forward to the next adventure of Angelika and Angelina. Out of the Question was first released in March 2013 in the Amazon App Store as well as in iTunes. 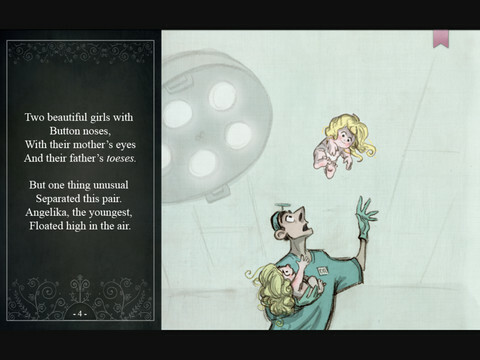 The story was written and illustrated by Marc Smith, and developed it first for Android by Nation9. We then used Unity to port the app to iOS, which means that our story can be enjoyed by more young readers through more platforms, which is super exciting to us. The whole process took around 4 months in total, including creative concepting, storyboarding and art development. In terms of features, we love the fact that kids who are learning to read can use the read aloud feature to have the story narrated to them, and can really immerse themselves in it while learning to read at the same time. The moment is here and can’t be undone. The Featherly twins, alike in all ways but one. Angelika, the youngest, floated high in the air. 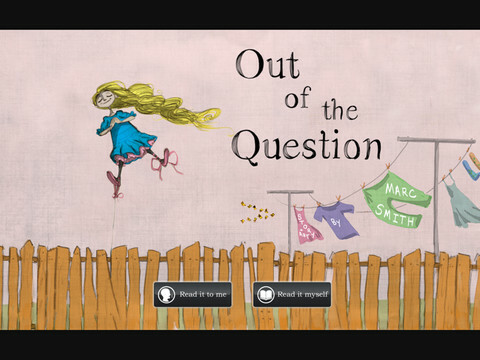 Nation9 proudly presents Out of the Question, the first book in a charming series written and illustrated by Marc Smith, featuring richly animated scenes and illustrations, enchanting narration and music that help to bring this storybook app to life, and to your children’s fingertips. 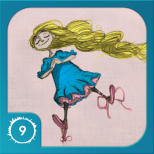 Join Angelika, a 10 year old girl who was born with the mysterious power to float in the air. Together with her twin sister Angelina, they soar into an adventure over the high seas. The twins cross paths with a sea captain, a pink whale and others, but worst of all, Angelika will have to confront her greatest fear.